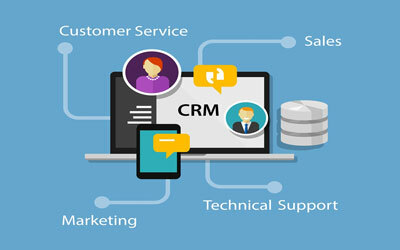 Managing and analyzing relationship between a business and their customers could be of great importance to productivity and sales of the company, which isn’t an easy job at all, but could be much easier and simpler with the help of CRM software. These tech solutions could make the overwhelming task of interacting with clients and customers an enjoyable experience. Today, the term CRM (referring to customer relationship management) has a familiar definition for most people dealing with tech or business in general. But many, even some of those using it, don’t pay full attention to the wide range of business concepts and processes contained in this management approach. Also it’s important to consider tech involvement in CRM systems in order to track, automate, and organize marketing, sales, tech support, and customer service. Effective marketing and sales tools integrated in this type of software help companies making more sense of sales and clients information by deeply analyzing customer interactions, sales activities data, and other databases. In terms of market share and revenue (based on 2014 numbers reported by Gartner research company) the 4 top CRM software solutions are: Salesforce, SAP, Oracle, and Microsoft Dynamics CRM. The main functionality of these systems is combining customer records and interactions into a single database so that accessing and managing this information would be a lot easier for users. In addition, several valuable tools and abilities are also provided along with the program. These are usually related to managing, organizing, tracking, and automating sales and marketing tasks, processes and relative information. Contact management – giving access to and management of customers information (based on the service) including phone, address, social info, history of interactions, deals, and activities. Marketing automation – marketing employees or team members could manage and automate marketing activities, use email marketing tools, track performance, and more. Lead management – offering tools to analyze, manage, and track prospects and leads from the moment they enter the system to the time they have turned into sales. Sales force automation – capabilities to track and automate sales activities, follow-ups, pipelines, communications, etc. Report – users could get detailed analytics and reports which are customizable and based on different options and inputs. Integrations – the ability to integrate with many third-party services and applications including Gmail, Google Apps, Microsoft Outlook & Office, MailChimp, QuickBooks, etc. Mobile – today, many major customer relationship management programs provide mobile CRM apps allowing users to use most aspects and parts of service through whatever device they use including mobile devices such as iPhone, iPad, Android phones and tablets. Free, open-source or proprietary systems? Like many other software, including business applications, CRM systems could be purchased, or free of charge. Open-source software is also considered free but with some differences which will be mentioned. Please note that free software almost always comes with some kind of limitation. In this case, for instance, a maximum number exist for the number of users, data storage, contact records, advanced features, etc. On the other hand, open-source systems don’t have these limitations but there needs to be a professional individual or team to install and customize them, and help describe different aspects and functions of software to users. Also, businesses and companies using open-source products are sometimes required to pay charges for getting advanced help or support from the producing company. Insightly and Zoho CRM are among top free software which have paid plans as well. They are in our list below and also have been reviewed before in TechaLook.com. Great open-source CRM examples are vTiger, Zurmo, and SuiteCRM. As one of the most widely used CRM services, Insightly is suitable for most small businesses especially those active in services section. The wide range of categories of these businesses includes financial services, insurance, education, retail, manufacturing, consulting, security, and real estate. All common features seen in customer relationship products plus extra business and sales tools are offered by Insightly. These include contact, lead and project management, social CRM, automating sales processes, supporting mobile, complete reports, and integrations. Salesforce Sales Cloud is one of the most used CRM programs around the world regardless of the size, industry or location of the company. Most team members could benefit from using Salesforce especially those in departments related to marketing, sales or services. No matter how they access their account (e.g. by smartphone or laptop), users could easily manage customer calls and leads, and monitor sales opportunities while have an overview of everything at dashboard analytics. Main features of the software include sales process automation, sales forecasting, lead management, contact management, marketing automation, mobile CRM, dashboards and reports, and so on. Zoho CRM helps users to focus on selling more by offering tasks automation, sales processes and opportunities management tools. Among other available options are inventory management, marketing automation, Microsoft office and outlook integration, managing workflow, and customer service and support. It is said for a reason that Pipedrive CRM solution is made by sales professionals, for sales professional. Taking use of clean and visually appealing sales management tools, the software is very easy to use and loved by many salespeople across the world. 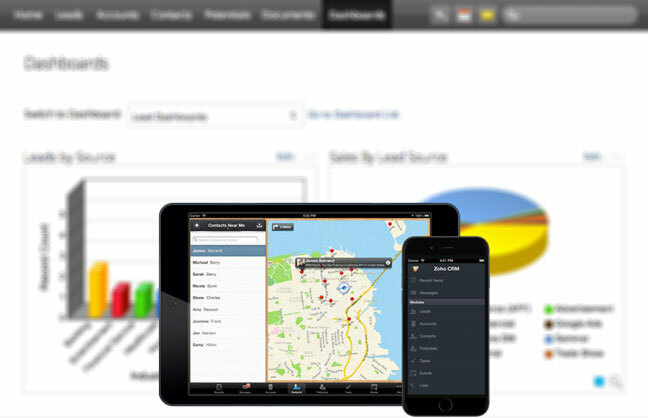 Some features include full customization, sales pipeline overview, mobile apps, contacts management, and reporting. Many third-party services and applications could be integrated with Pipedrive such as Google Maps, Google Apps, Dropbox, and MailChimp. The software has also a very simple pricing plan that is $12 per month per user. Accounts aren’t limited, and users aren’t required to any contract. And as the company behind Pipedrive claims, there are no hidden charges or extra fees for API key, phone support, etc. They also offer a free trial for 30 days. Offering an all-in-one application containing marketing and sales management tools, OnContact is a powerful software to help businesses grow sales and productivity. Using OnContact could be through choosing one of two simply put plans: Cloud subscription – with a price tag of $50 per month for each user, or On-premise subscription – which costs $995 for each user. Both plans give users similar functionalities and tools such as marketing management, customer service, sales automation, contact center, and mobile compatibility. As a comprehensive CRM software by Oracle, the big computer corporation, this software is one of the main products in this category chosen by large organizations and companies. The software offers smart and simple solutions to manage marketing, sales, customer service and call center. 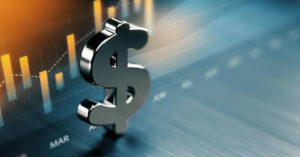 To learn about price plans and detailed information on features check out the oracle.com website. Another great choice especially by large businesses and enterprises to help deliver excellent experiences to clients is SAP CRM, which is great in managing sales and customer interactions. The program provides powerful tools and capabilities to business owners and managers, and also other staff members in marketing, sales, and customer service departments. The service comes with two deployment options: Cloud or On-premise. Users could buy licenses based on their number of users and their required functionalities and tools. Sap.com website has more details on licensing and pricing options. 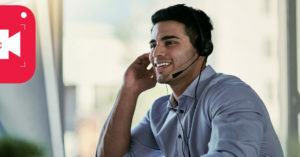 As Microsoft calls it, the software is a customer engagement management tool offering solutions for marketing, sales, social engagement, and customer service. Microsoft Dynamics CRM has 4 similarly structured pricing groups (marketing, sales, service, and social) based on needed features. Cheapest package is Professional plan which costs $65/user/month. Features include: sales and customer service automation, mobile access, social listening and analytics. Highest plan with $150/user/month price is called Enterprise 360 Promo with plus capabilities such as managing account, leads, opportunities, and forecasting options. Not only Infusionsoft is a powerful sales and customer management software, but also it has great aspects of marketing automation and email marketing. That’s why some professional business software review websites have picked it as the top choice in these categories. In addition to normal options usually provided by competition, Infusionsoft offers e-commerce solutions as well to help small businesses really save time while growing sales. These tools include shopping carts with different payment options, affiliate management possibilities, etc. The last item in our list is an all-in-one business solution especially for entrepreneurs and managers who want to control all or most of their business-related tasks through an integrated web application. CRM system, marketing automation, content management, payment tools, membership and affiliate programs, etc. are some of the main features of the software and as it seems the list goes on and on. This shows the potential Ontraport to help automate and organize day-to-day business tasks in order to increase productivity, save time and sell more.